Nova Xonix 3D is a 3D arcade game in which you are a pilot of a hi-tech flying device and have to explore and capture territory. Sounds simple, doesn’t it? Many enemies waiting for you, so it is not as simple as it sounds… Do not forget to collect bonuses. But watch out, some of them are harmful! VixaGame proudly presents a remake of the classic arcade game Xonix. The family of Xonix games is known from the mid 80s. This version brings modern 3D graphics to the classic gameplay. You can play this game on all devices. 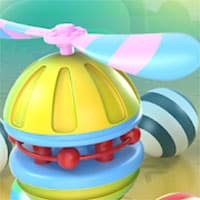 Enjoy and have fun in playing Nova Xonix 3D Game on Round Games. Also make sure to check out Battleship War Game, you may enjoy playing it.